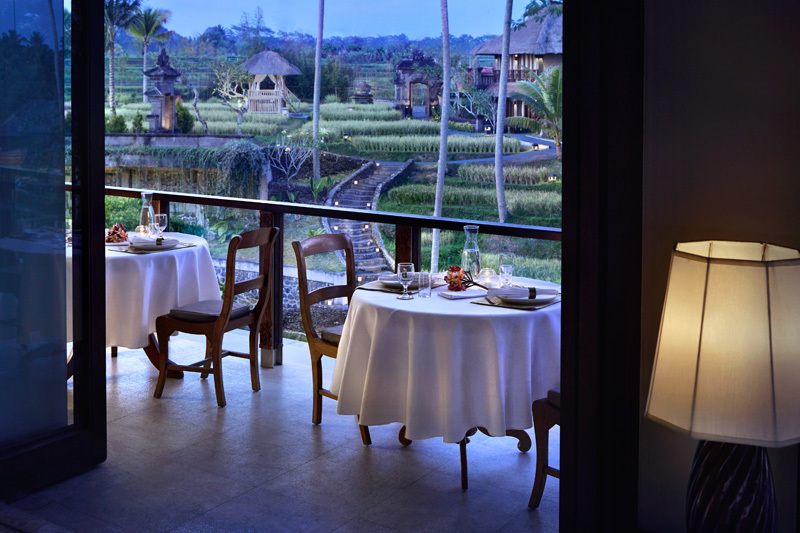 Kamandalu Ubud offers guests the chance to experience the beauty of rural Bali in an enchanting atmosphere. 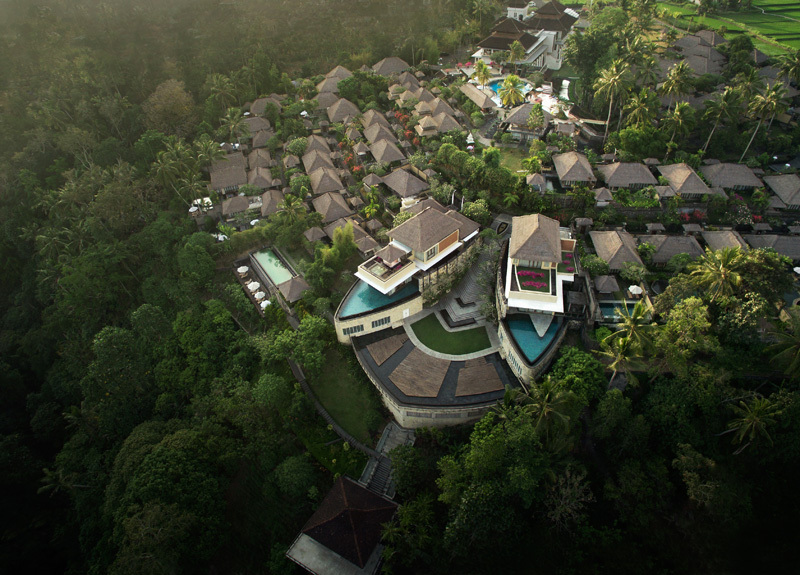 The Ubud area is blessed with great natural beauty partly thanks to its hilly location and plunging river valleys. The terrain means many of the valleys remain pristine, covered in dense tropical trees and plants. 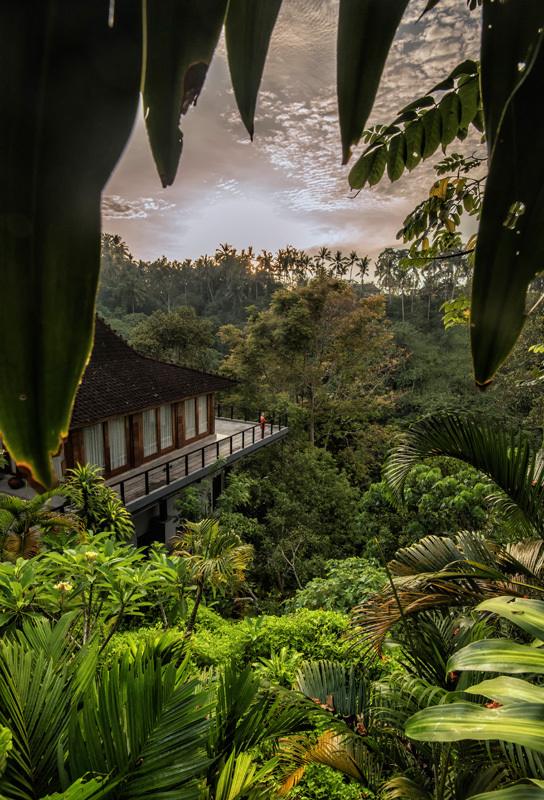 It is in one such location just a few minutes from central Ubud that Kamandalu Ubud can be found, perched atop a steep wooded valley and clinging to the contours of the hill. At this beautiful, romantic property the greeting is warm and service is attentive and thoughtful throughout your stay. The lobby is especially elegant and picturesque; a vast, airy, semi-open space with white marble floors offset by a dark wooden wall and ceiling, specially curated Balinese art, along with cosy seating areas that take full advantage of the view over the terraced rice fields outside edged by thatched villas. Ducks paddle around the paddy fields, completing the iconic picture. 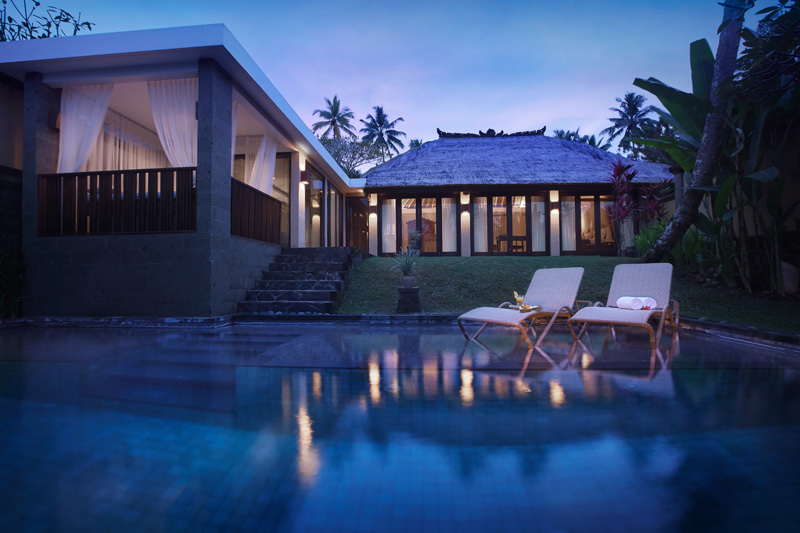 Taking inspiration from traditional Balinese villages, there are winding stone paths connecting the chalets and villas, which range from one-bedroom to three, and some of which have their own pool and generously sized day bed for lounging. For guests who have a pool villa, why not try the floating breakfast, a full meal accompanied by a bottle of sparkling wine arranged carefully on a floating wooden tray in your pool. Chalet and villa interiors remain true to their Balinese heritage with a very rustic feel, while being equipped with the modern conveniences so necessary today. There are spa-inspired bathrooms, intimate seating areas inside and out, verdant views from the windows and the beds are extremely comfortable. The three-bedroom, multi-storey Presidential Villa Rama benefits from spacious decking, secluded seating areas and an outdoor Jacuzzi, and has a stunning living room looking out across its infinity pool and the jungle valley. All pool villa guests are also pampered by the services of the resort’s butlers and access to the Village Club for relaxed check-in and check-out, afternoon tea and evening cocktails and canapés. 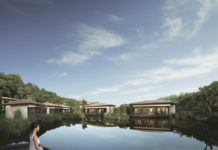 The 3.5ha compound is so tranquil and timeless that many guests choose to stay in the grounds and enjoy the multiple pools, do some yoga in the dedicated pavilion hanging over the river valley, take a culinary journey with one of the chefs, have a picnic lunch on a boat, or visit Chaya Spa for a restorative, relaxing spa treatment. We recommend taking your massage in the sheltered, open-air Forest Spa huts for a full retreat into nature. 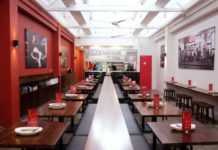 The dining is also excellent. 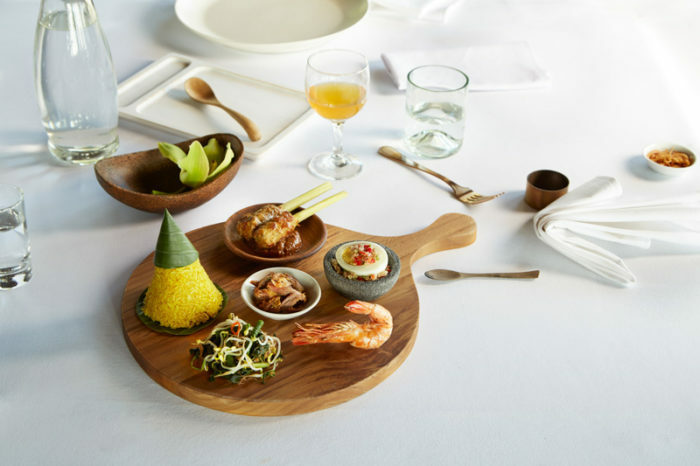 The delightful Indonesian menu at award-winning Petulu Restaurant was designed by leading Indonesian culinary expert William Wongso, while Aira Café offers light meals, snacks, desserts and delicious coffee. Kamandalu Ubud’s heritage of serenity and deep respect for the Balinese culture is clearly felt and is one of the reasons why guests keep on returning.